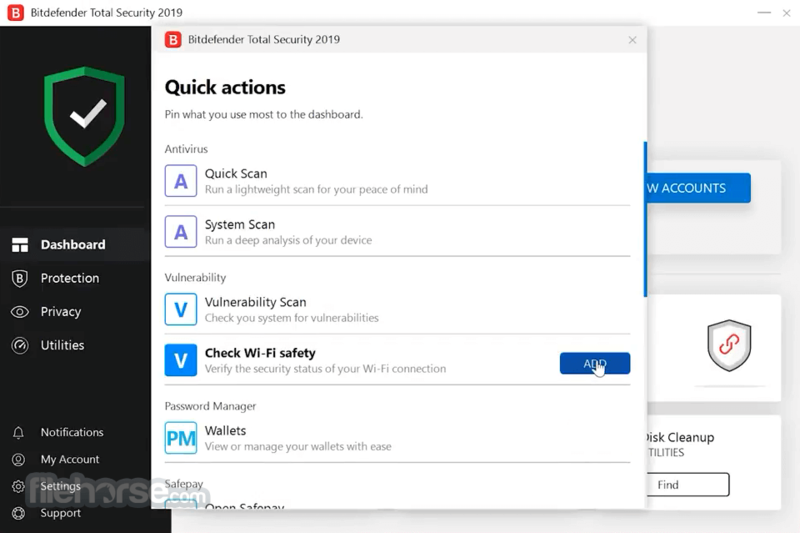 Bitdefender Total Security uses machine-learning technologies to remove and block all cyber-threats, without impacting your device's performance. 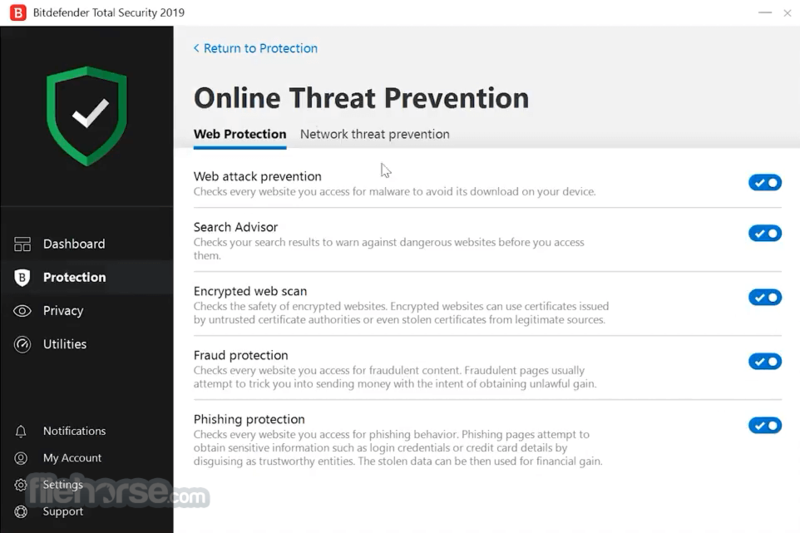 It tackles ransomware, password stealing, data theft, malware interception of your payments, hidden spying software, and infections that render your device inoperable or cause massive slowdowns, and it does so automatically, taking the best security decisions for you. 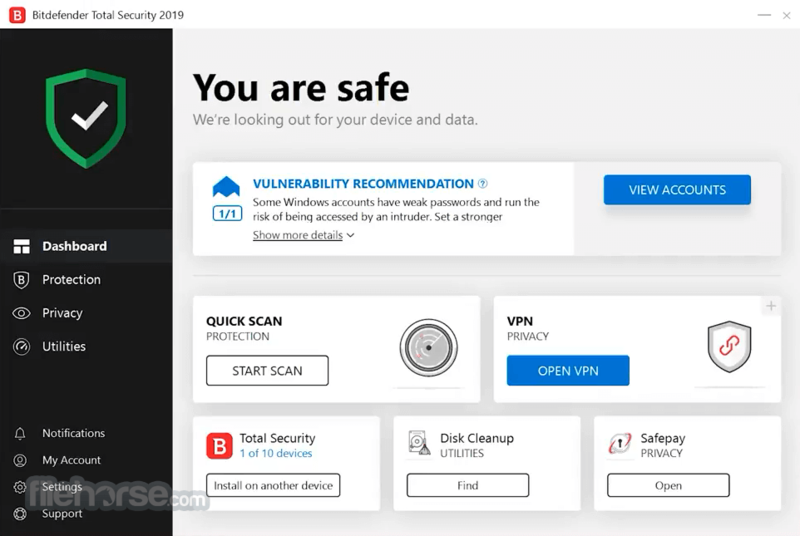 Bitdefender Total Security also helps you in case of theft, by pinpointing or temporarily blocking your devices, and it locks confidential files in a secured vault. 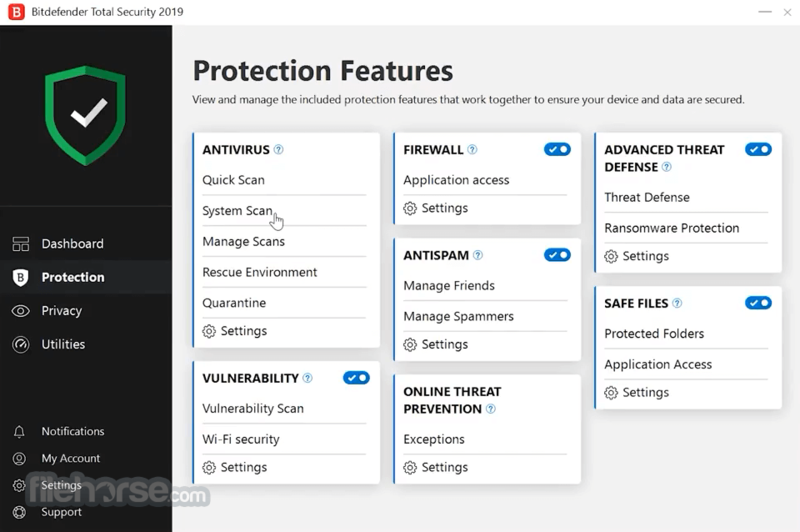 Additional features include a new Firewall, discrete parental controls, online payments browser and privacy protection, vulnerability scanner, as well as online management and smartphone notifications, weekly security reports, and more. Bitdefender Total Security ensures you focus on your activities. It detects when you play, work or watch a movie and temporarily eliminates popups, adjusts visual settings, and pauses unnecessary background programs.